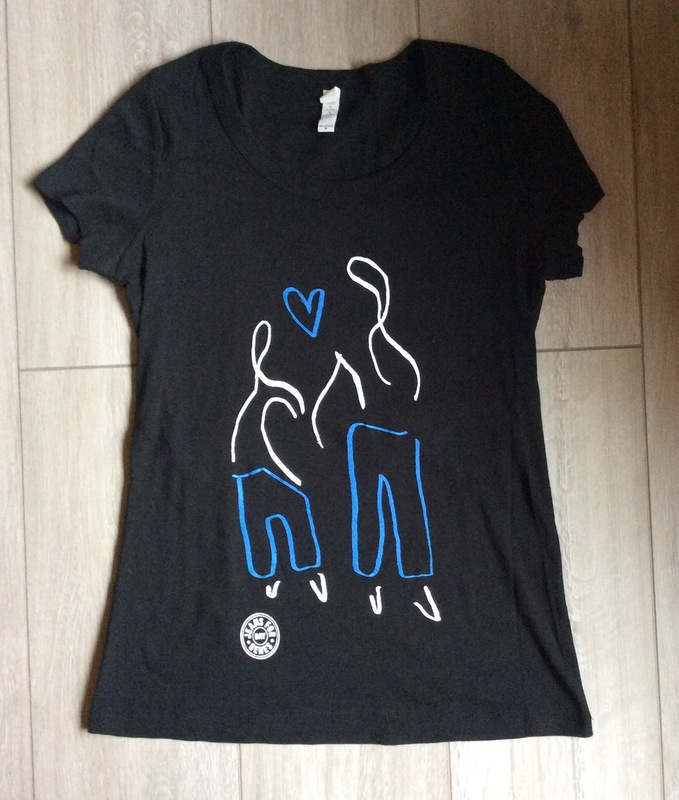 A short post to let you that the Jeans for Genes 2017 Limited Edition fashion t-shirt is now available to purchase on the Jeansforgenesday.org website for £20. I have already purchased mine and received it today. Jeans for Genes is an appeal dedicated to raising funds that will help children suffering from genetic disorders. Who does Jeans for Genes help? 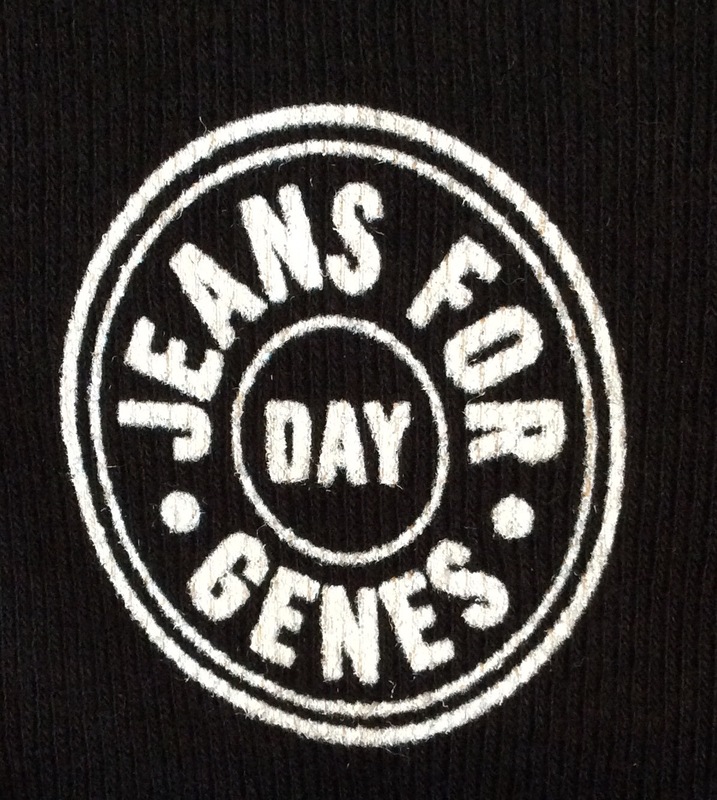 The money raised on Jeans for Genes Day funds a range of initiatives that improve the quality of life of children affected by genetic disorders – please see the Jeans for Genes Day UK site for more detail. In the UK, one day every year – this year Jeans for Genes day is on Friday 22nd September 2017 – everyone is asked to throw out the usual dress rules, jump into their jeans and donate a sum to help this cause. The appeal also come up with ideas to raise extra funds, such as competitions and quizzes and through their clothing including annual limited edition fashion t-shirts. This year Jeans for Genes have teamed up again with Glasgow School of Art to bring you their latest limited edition fashion t-shirt which this year is designed by Molly Lindsay. The T-shirt is £20 and comes in sizes UK 8 – UK 16 – all sizes still available at time of posting. 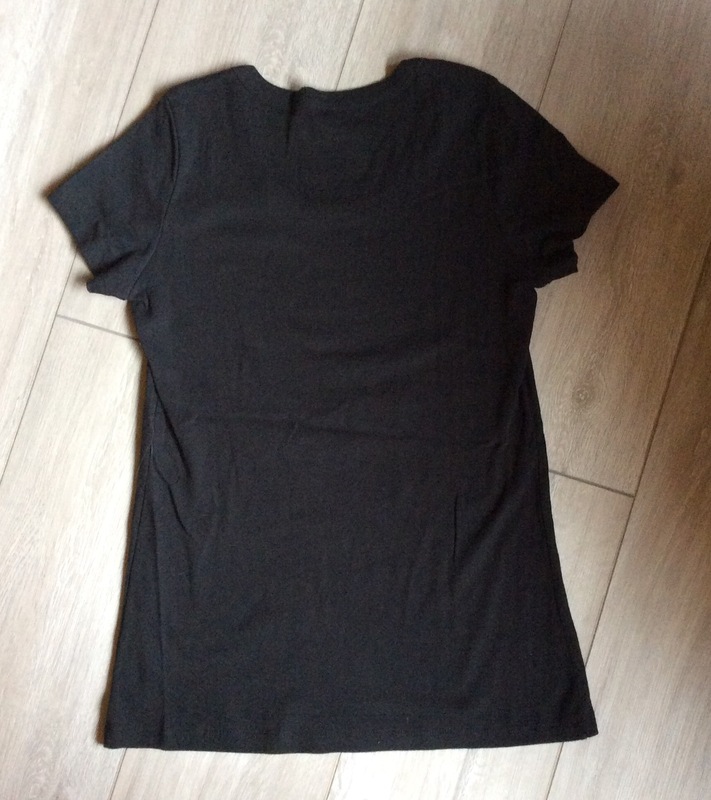 It is a beautiful good quality cotton, regular fit, short sleeve, black fashion t-shirt with a slightly scoop neckline with the Jeans for Genes logo in white & blue and white detailing on the front. I purchased the UK10/12 size and it is a perfect fit and I am usually a UK 10 on top. I would definitely recommend visiting the Jeans for Genes Day website to learn more about this great cause, then by purchasing this t-shirt or any of the other beautiful products on the site you can also be a part of Jeans for Genes day through supporting this excellent cause. You can wear this year’s Limited Edition t-shirt any time not just the 22nd September 2017 – I still wear previous years t-shirts. Thank you for taking the time to read my post – much appreciated. Look forward to any comments you may have – if you are not already a follower would love you to follow my blog too – would mean a lot.